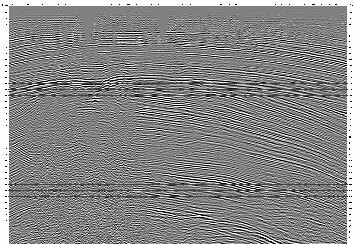 Seismic data processing is one of the crucial steps on which depends the success of the further work on the interpretation and rock property prediction. 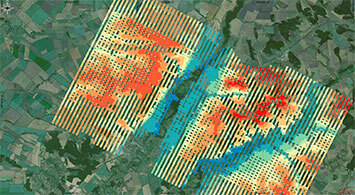 Processing quality depends on both field data quality and professionalism of the specialist performing this work. 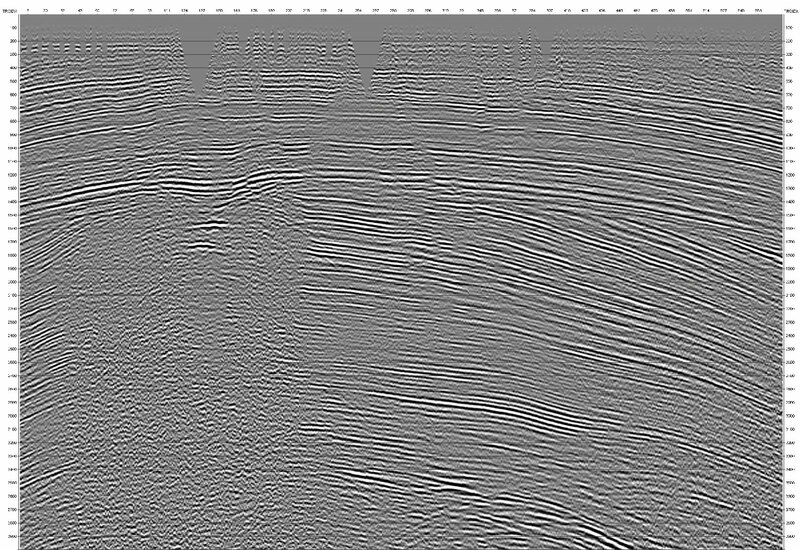 We have modern technical equipment and many years of experience in processing of seismic data acquired from different regions of the world. 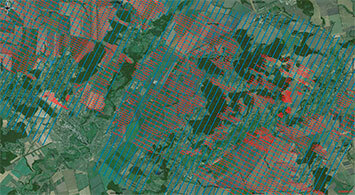 Use of the latest techniques allows improving the signal resolution, more effectively eliminate the noise and obtain high quality images of the environment, that eventually provides a more accurate picture of the study area. 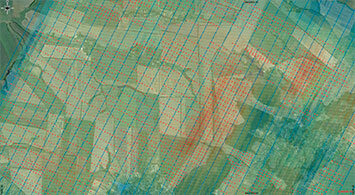 Verification of acquisition geometry of the survey area, the validity of the described survey layout for each seismic gather, elimination of the errors in values of elevation for each source and receiver point - all of these factors are essential for the successful launch of the seismic processing project. 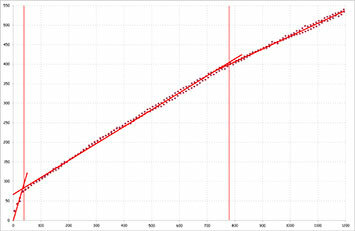 The input of incorrect acquisition geometry data in the trace headers may adversely affect the final result, that is why our experts are very attentive to the quality of the survey acquisition geometry. 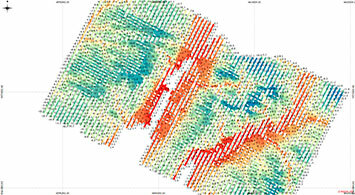 One seismic processing project may include data from multiple seismic surveys that have been acquired during field survey in various seismogeological conditions by using various methods and parameters. 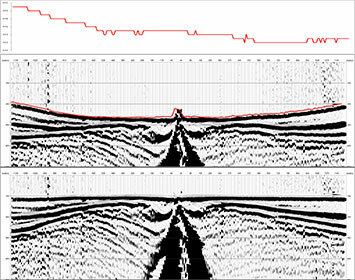 Correct association and regularization of diverse input seismic data are the key factors for determining the effectiveness of all subsequent processing procedures. We have years of experience in balancing, reconciliation and regularization of 2D/3D seismic survey data that have been recorded by various equipment in different times. One of the key steps in the process of obtaining an adequate seismic imaging is a correct consideration of near-surface heterogeneous layer. 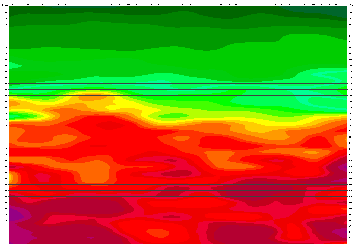 The large elevation differences between the sources and receivers, as well as the velocity anomalies in the upper part of the section, can significantly distort the seismic image. 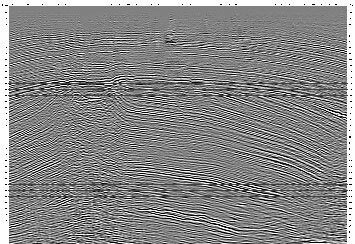 We have a complete set of tools for calculation of both reflection and refraction static corrections of different magnitude and frequency. 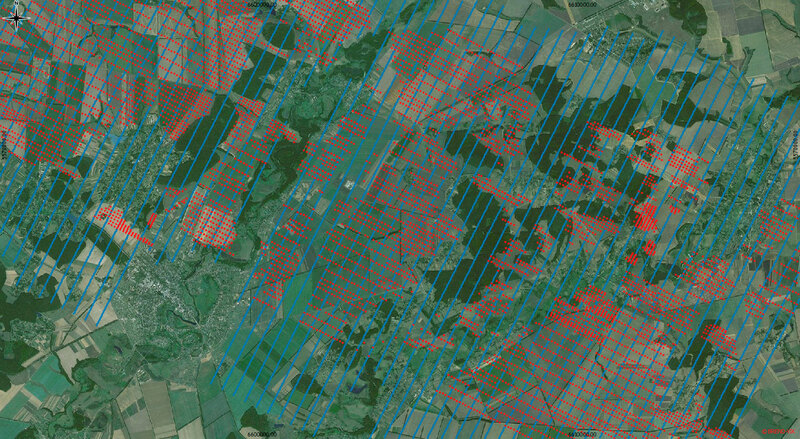 We use advanced software and our own methods for calculation of static corrections and model the anomalies of different origin associated with near-surface heterogeneous layer. 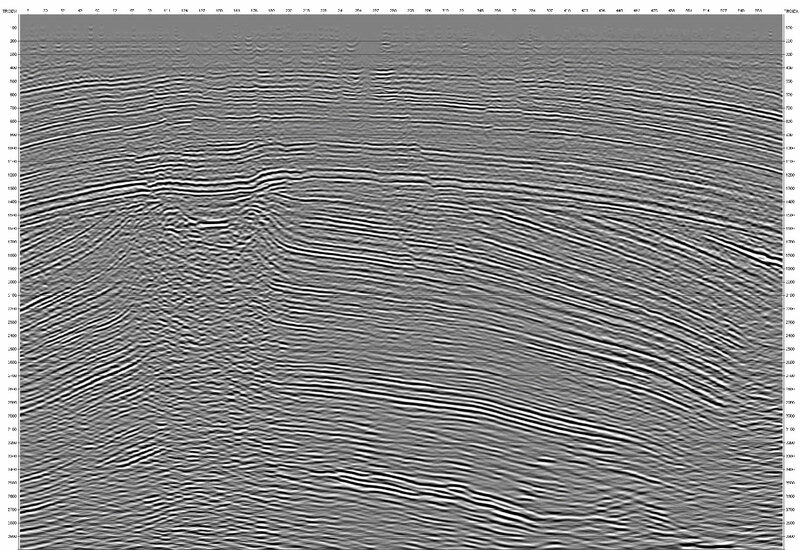 Time processing is divided into two parts - kinematic (to solve structural interpretation) and dynamic (to solve a wide range of problems on prediction of various properties of the geological environment). 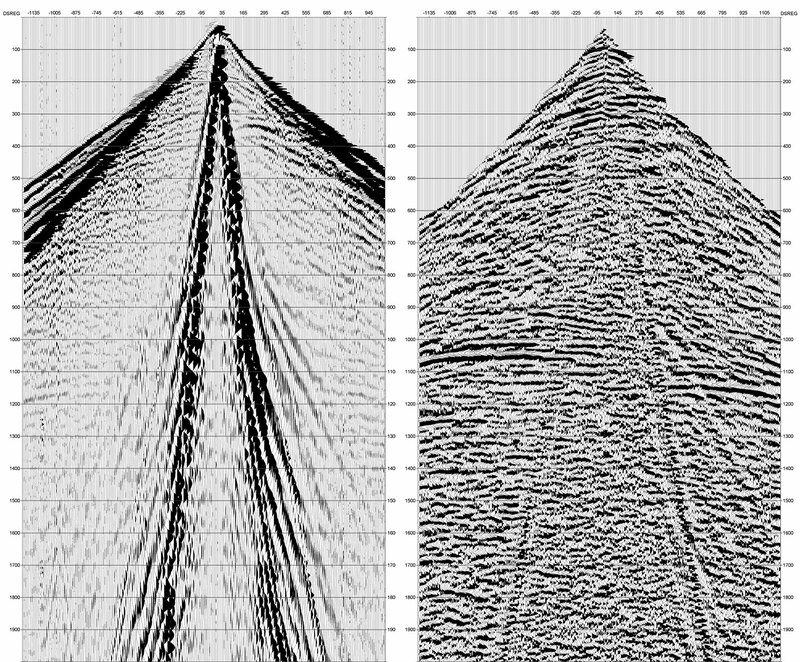 Various processing graphs have been developed to solve the problem of the kinematic seismic data processing. Our experts pay special attention to the analysis of velocities and residual static corrections. 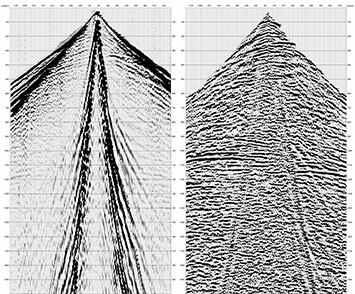 Even in the most simple seismological conditions we perform at least three iterations to compute kinematic and residual static corrections, and in difficult circumstances - as much iterations as required to completely solve the customer's problem. 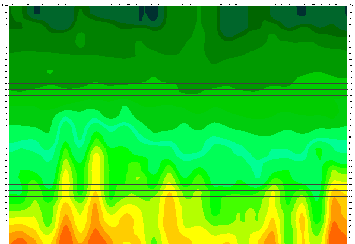 Also one of the critical conditions for a reliable structural and amplitude interpretation is a conservation of amplitude-frequency response of the signal. 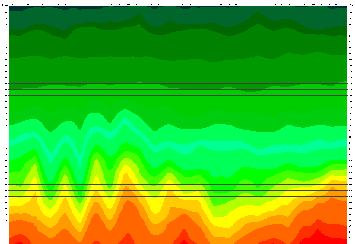 Our specialists apply flexible adaptive techniques of noise attenuation to effectively separate the useful signal and to optimally maintain the initial ratio of amplitudes and frequencies. 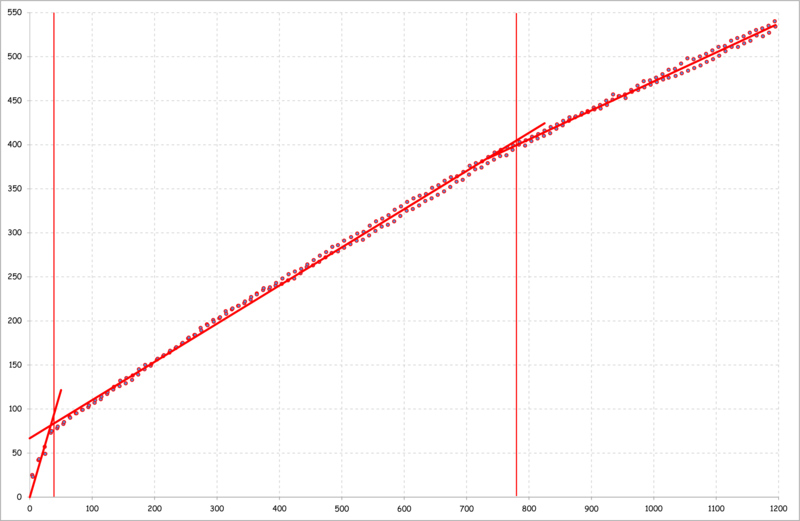 Stage of the time processing ends after the post-stack migration procedure. 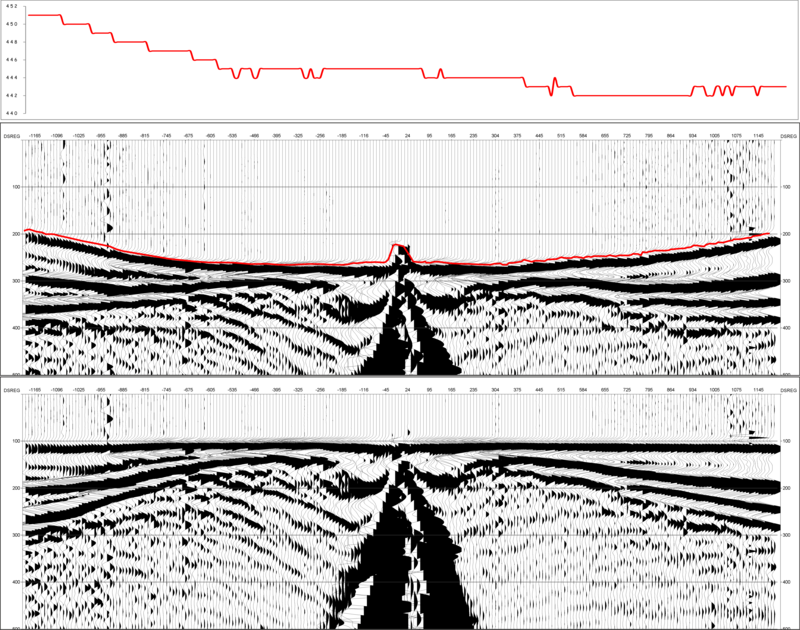 In areas with sudden speed changes in both vertical and lateral directions, temporary migration of the stacked seismic data doesn't always produce the appropriate image of the section. 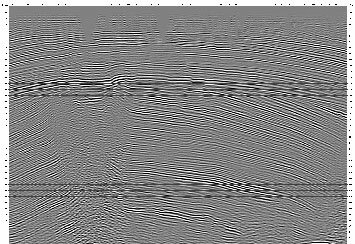 Our specialists perform velocity modeling of any complexity and use a complete set of pre-stack time and depth migration algorithms to increase the focusing of signal and to restore the reflection geometry. 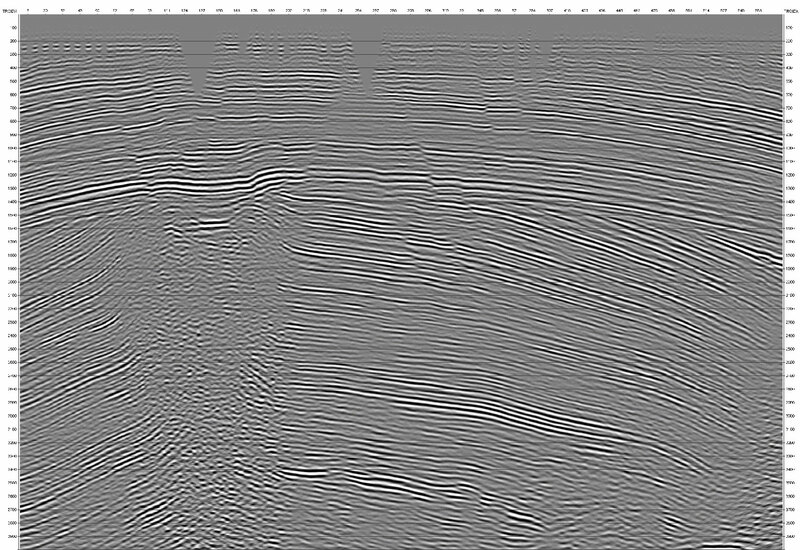 Time and depth images calibrated by well data significantly improve the accuracy of further structural and amplitude interpretation. The quality and timely performance of works of depth migration are largely determined by velocity-depth model adequacy. Our specialists use a combination of the results of vertical and horizon oriented velocity analysis, well data, as well as all available a priori information to build the initial velocity model. Years of experience with complex boundaries topology allow us to efficiently model complex elements such as salt domes, intrusive bodies, etc. Copyright © 2015 LLC "Brend-Vik LTD"